DX (Group) plc (LON:DX. ), the provider of delivery solutions, including parcel freight, secure, courier and logistics services, announced today the following update on trading for the financial year ended 30 June 2018. The Board is pleased to report that the Group’s turnaround, which commenced at the start of 2018, is progressing steadily, and that both the DX Freight and DX Express divisions have delivered in line with management expectations in the second half. The Directors therefore expect the Group to meet market expectations for FY2018, which includes an underlying loss for the year. Net debt at 30 June 2018 is expected to be approximately £1.1m (30 June 2017: £19.1m), which is better than previously anticipated, and reflects improved working capital management. As planned, turnaround initiatives in the period have been more focused on DX Freight, and net new business at DX Freight, which includes the Group’s irregular dimensions and weight (“IDW”) and logistics activities, has been encouraging and continues to gather momentum. 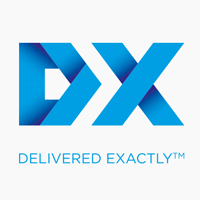 DX Express, which includes DX Exchange, Secure and Courier services, continues to develop its plan to separate DX Exchange from the Secure and Courier operations. In addition, the Group has enhanced the senior management capability within DX Exchange and strengthened the DX Express sales team. The DX (Group) plc Board believes that the Group remains well positioned to make further progress against its Turnaround Plans as previously announced on 29 March 2018, and will provide a further update on trading with the announcement of full year results, expected in early October 2018. Click DX for the full archive. 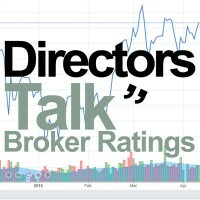 Market Risers: DX (Group) PLC, J Sainsbury plc, North River Resources plc.